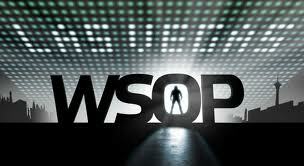 Since 2002 the World Series of Poker Main Event Champion has been decided by fairly anonymous players. These players have left as WSOP Main Event champions or runner-ups, with huge expectations heaped upon their shoulders, but since 2002 very few winners or runners-up have lived up to these lofty expectations, and many have downright been busts. So this begs the question; is there a WSOP Main Event curse? Obviously the idea of a curse is ludicrous to poker players, but hyperbole aside, the recent winners and runners-up at the WSOP Main Event have a very poor track-record. Of the 20 players who have finished 1st and 2nd in the WSOP Main Event between 2002 and 2011 only three have lived-up to or exceeded expectations so far: 2004 runner-up David Williams, 2005 Champion Joe Hachem, and 2010 Champion Jonathan Duhamel. Several players have been fairly neutral: 2002 runner-up Julian Gardner, 2003 Champion Chris Moneymaker, 2003 runner-up Sammy Farha, 2004 Champion Greg Raymer, 2008 Champion Peter Eastgate, 2008 runner-up Ivan Demidov, 2010 runner-up John Racener, 2011 Champion Pius Heinz, and 2011 runner-up Martin Staszko. What is extraordinary to me is the number of sheer busts the WSOP Main Event has produced. With only three of the 20 players to have finished 1st or 2nd in this time period having excelled after their WSOP fame, an amazing number have done next to nothing (next to nothing in terms of what is expected from a WSOP winner/runner-up anyway) including 2002 Champion Robert Varkonyi, 2005 runner-up Steve Dannenmann, 2006 Champion Jamie Gold, 2006 runner-up Paul Wasicka, 2007 Champion Jerry Yang, 2007 runner-up Tuan Lam, 2009 Champion Joe Cada, and 2009 runner-up Darvin Moon. That’s eight busts compared to three success stories. This entry was posted on Friday, November 2nd, 2012 at 9:04 am and is filed under Poker News. You can follow any responses to this entry through the RSS 2.0 feed. You can leave a response, or trackback from your own site.